The tasting room is in the patio of the winery and is large and open with the traditional sand floors. 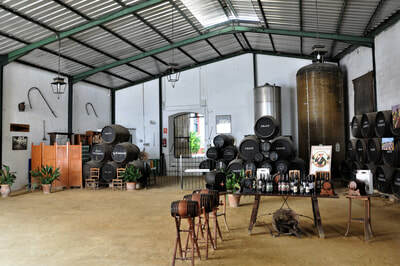 There are sherry barrels situated around the room with some nice potted plants and traditional style pendant lights. 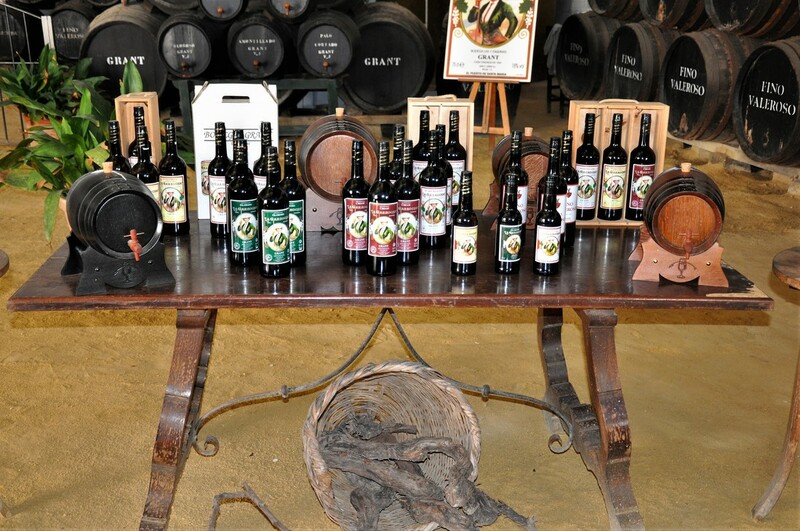 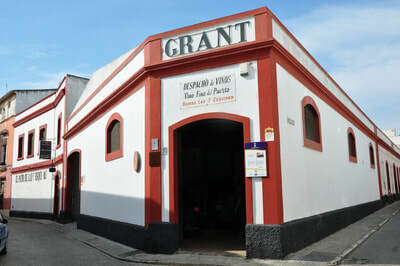 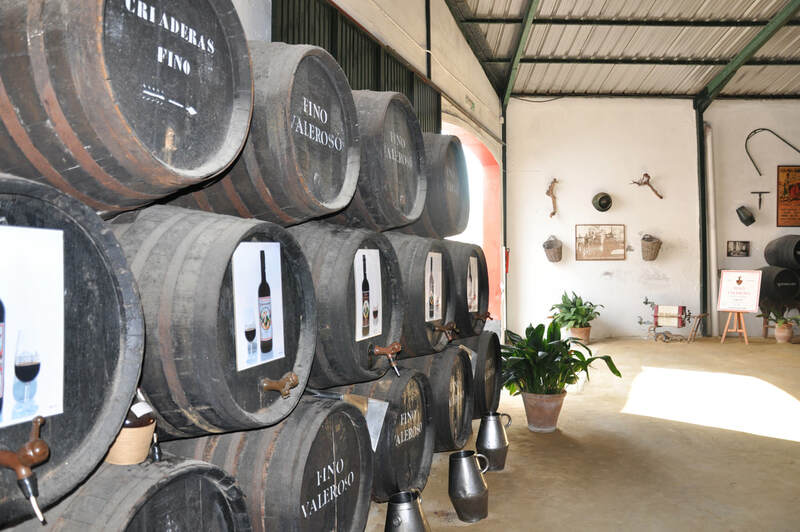 The tasting bench is located at the front, and there is a door for cars to drive in for the locals to pick up their bulk purchases of sherry!